You can rely on us at Belanger Engineering as your civil engineering company of choice in Toronto. At Belanger Engineering, we are committed to providing high-quality services for all your structural, building, and repair projects in Toronto, Ontario. When you need a civil engineering company that can make sure that your project goes as planned, we are your first resource for the job. 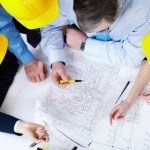 Here are a few ways we can assist you as a civil engineering company. Design – When it comes to a new building project, the team you put together must be experienced and efficient. We are committed to accurate designs and superior service that ensures your project is a success. Build – Once your project is ready to begin the building phase, we’ll be with you every step of the way, providing expertise and resources so everything goes as planned. Supervise – During your project, you need a trusted civil engineering company that can supervise each phase and work to achieve your goals quickly and efficiently. We provide accurate information and acknowledge upcoming goals, so you feel confident in the process. Operate – Once your project is complete, it is important to have a knowledgeable civil engineering company that can ensure that operations are safe and secure enough for the long-term. Our team is equipped to assist you at every step. Maintain – After operation has begun, our team is prepared to assist with maintaining a properly functioning structure and making recommendations for improvements over the long-term. You can rely on us at Belanger Engineering as your civil engineering company of choice in Toronto. We are a small firm with over 25 years of experience, and you’ll find we offer expertise and a friendly approach to doing business. Contact us today to discuss your upcoming project. At Belanger Engineering, our civil engineering company proudly serves Toronto, GTA, Mississauga, Markham, and Ajax, Ontario.